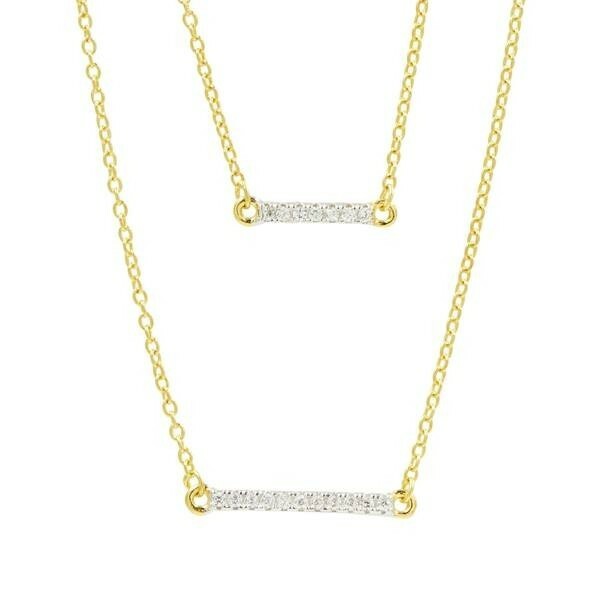 14k Yellow gold plated Sterling Silver Radiance double pendant necklace with hand-set cubic zirconia stones. Necklace is 16" ]with 2" extender and lobster clasp. Freida Rothman collection.